Editor's Note: UTSA President Taylor Eighmy sent this email to UTSA students further updating them on Monday's classroom incident. I am writing to provide an update regarding yesterday’s classroom incident and address some of the specific questions and concerns you may have. We are currently conducting two separate investigations into the matter, one on potential discrimination (conducted by our Office of Equal Opportunity Services) and the other on classroom management (conducted through the Provost’s Office by Interim Dean Grimes in the College of Sciences). Provost Espy and I are committed to ensuring an equitable process for both the student and faculty member. Interim Dean Grimes and our EOS office are working quickly and diligently to gather the facts, and both the student and the faculty member have met separately with those conducting the investigations. For the best interest of all involved, the faculty member’s classes will be taught by another faculty member for the remainder of the semester. Her students have been informed. The student involved in the incident has been welcomed back to class and offered support services. Once the two investigations are complete next week, appropriate administrative action will be determined. No matter the outcome of the investigations, the incident shows issues that extend far beyond the events of yesterday. The reactions expressed through social media, emails, phone calls and group meetings I’ve attended confirm that feelings of marginalization on the part of some students—especially our African American students—are real and profound. The bottom line: regardless of the final outcomes regarding yesterday’s incident, we have an obligation as an institution to take a hard look at our campus climate—especially for students of color—and enact systemic change to make UTSA a more inclusive campus. We will re-double our efforts to examine how our students from underrepresented groups are treated inside and outside the classroom. We need a fuller understanding and process for reviewing incidents of hostility, discrimination or disrespect, and I will be working with Provost Espy to put those in place. 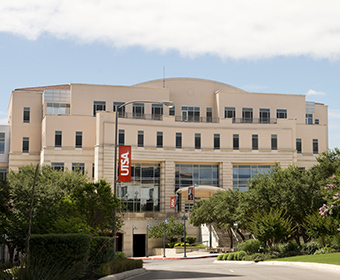 Soon we will release the results of our student diversity survey administered last spring which gives further insights into areas where we are doing well, and areas needing improvement here at UTSA. We will place a greater emphasis on safe reporting. You may not realize that you can report classroom incidents and concerns safely through our Office of Equal Opportunity Services or UTSA’s Hotline. We will be looking at ways to raise awareness around safe reporting among our students so we can investigate and address issues of discrimination in our classrooms. We need more faculty, staff and administrators of color on our campus. Provost Espy is working with each of the Deans to accelerate our efforts to increase the diversity of our faculty, and we have set goals to measure our progress. Vice President Anderson will be leading a new initiative focused on this effort to launch this spring. To be successful, this work must permeate every corner of our institution as one of our highest priorities. Our faculty and leadership must reflect the UTSA student community they serve. I expect to be held accountable in these matters, and expect the same from the entire campus community. I promise to keep you updated both on the outcomes of yesterday’s incident, as well as the broader issues surrounding UTSA’s inclusivity. Thanks to those of you who have shared your thoughts and concerns with me, and for the genuine care you have for each other and for UTSA.